Positive affirmations with Optimal Thinking. Be your best! 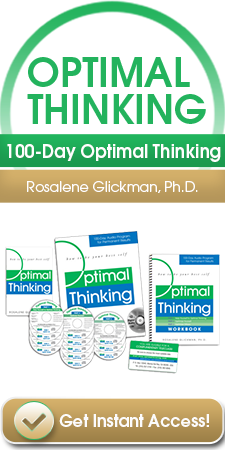 Optimal Thinking is a safe journey of self-exploration, self-expression & self-optimization. A superb treatment of the idea of "Personal Best". Rise above suboptimal positive affirmations! Optimal affirmations are first person, present tense, Optimal Thinking statements you immerse in your mind to prepare yourself to experience the best. They are verbal “act as if…” statements. Below are Optimal affirmations you may wish to adopt. Jot down your unsupportive responses, and determine how to best resolve them. Optimal Thinking is NOT wishful thinking. I am an Optimal Thinker. I focus on the most constructive thought at any given moment. I accept what is out of my control and optimize what is within my control. I’m the right person in the best place at the best time, engaged in the most important activity in the best way. I get my most important needs met. I am giving life my best shot. I am responsible for making the most of my life. Right now, I am the best I can be. I am making the most of my assets. I am now taking the best action to fulfill my ultimate purpose. I concentrate on what I most want to do and what I do best. I invest my time, talents, abilities, and life in those activities which fulfill my ultimate purpose. I know the best way to achieve my most important goal. I am doing the most important task right now. I am making the most profitable/enjoyable use of my time right now. I obtain the best results within the least amount of time. When I ask the best questions I obtain the best answers. When others speak to me I give them my full attention. I communicate the best means of satisfying the best interests of all concerned. I listen reflectively without judgment to gain complete understanding. 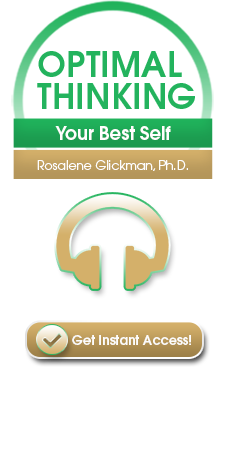 Feel free to participate in our complimentary Optimal Daily Affirmations Program. 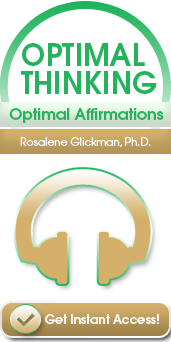 REGISTER NOW to receive Optimal affirmations in your inbox.